Dr. Gentile offers an array of different male procedures to meet the needs of all of our patients. If you are interested in one of our treatments for men, please contact our office today and schedule a consultation! 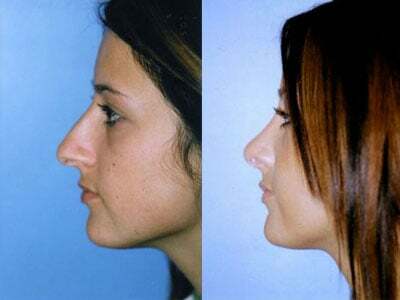 Rhinoplasty is one of the aesthetic surgeries that can permanently and greatly improve your appearance. Most men choose to undergo Rhinoplasty for their own personal reasons but most commonly they include: improving and restoring breathing, repairing traumatic injuries or a birth defect, removing the dorsal hump or simply improving the shape and size of the nose. 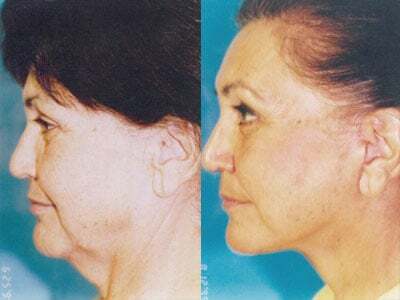 Chin Augmentation will strengthen your chin and give you a more masculine and youthful look as well an appearance of overall weight loss. Jawline recontouring is increasingly becoming more popular among men of all ages as it is a relatively minor procedure that gives dramatic results. Chin Augmentation is often performed in conjunction with neck liposuction to balance your face and improve your profile. The procedure can be performed either under IV sedation or general anesthesia and you can generally return to work within 7 days or sooner if you decide to wear a soft neck collar. If you have ears that are disproportionately large or are protruding then Otoplasty can reshape and recontour your ears. This procedure is usually performed under local anesthesia but you can also choose general or IV sedation. The downtime is 1 week. Calf and Pectoral implants are procedures to increase the size and improve the shape of your calf or your chest. The implants are custom made and inserted through an incision behind your knee for the calf or placed on the underlying fold of the pec muscle. The indication are either muscle imbalance such as underdeveloped pec or calf muscles or asymmetry secondary to trauma or birth defects as in a deformed chest or simply for personal reasons to achieve a better contour. 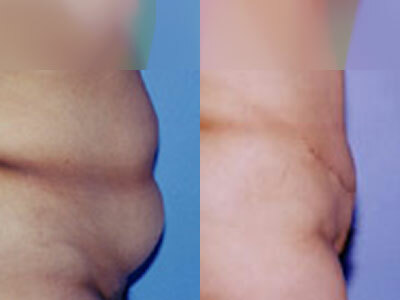 Liposuction for men to look trimmer usually involves addressing the trunk and neck. Even men in excellent physical shape can have unattractive issues. Dr. Gentile offers a full spectrum of techniques from conventional liposuction to the laser and ultrasound lipo as well as the noninvasive external ultrasound to help sculpt your body into a more pleasing shape. These procedures have become especially popular among men in the military who wish to maintain a sleek body profile in their uniform.